We all love when someone talks about our brand online, but are you harnessing the power of User Generated Content? Here, 10 stats that might persuade you to consider infusing user-generated content into your own marketing strategies. 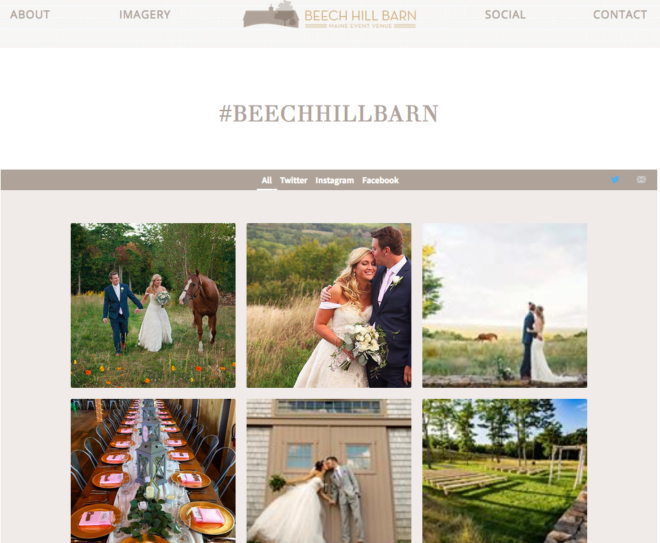 Recently we launched a social stream for Beech Hill Barn, a Maine Barn Wedding Venue in Pittston. This allows our client to monitor the online reputation for her brand and promote those that are speaking highly about the barn! Are you harnessing the power of the images being created by all the visitors to your property? We would love to help! The range for a Social Stream is $800-1200 setup and $20/month!